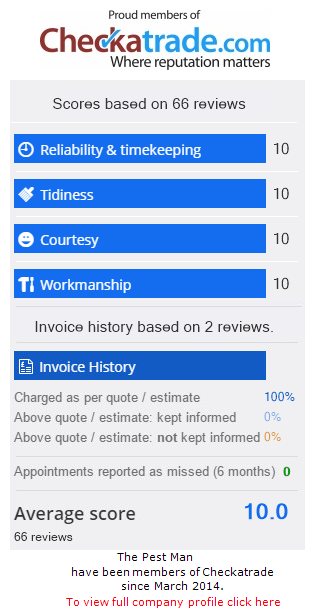 A large percentage of our customers recommend us to their friends and family due to our excellent levels of customer service and quality of our workmanship. Many even return to us for other Mole Catching work in the future. The materials we use are of the highest quality as we hand pick them using only the most reputable suppliers in and around Horsham. These small touches mean a far superior finish that can stand the test of time. Well established for 40 years, The Mole Man is a professional, polite and reliable Mole Catching company based in Horsham and offering our services in the wider area. We pride ourselves on offering a hassle free and affordable service where the customer’s needs always take priority, as do excellent quality workmanship and operating to modern standards. We are confident that we can meet all your requirements on your next Mole Catching project and also exceed your expectations when it comes to quality and affordable work. We are a family run business offering a professional and reliable service fully qualified and insured using vehicles which are all unmarked. Surrey and Sussex areas are covered treating Domestic, Commercial and Agricultural, Golf Courses. I carry out single treatments of pests (where legal/possible) offering advise on contracts for larger or longer pest treatments if required. Telephone advice is always free please call on 07900 980194 with your enquiry. Looking For A Mole Catcher In Horsham? - Say No More! If you’re looking for any general Mole Catching work in and around Horsham then please do not hesitate to contact us. We pride ourselves on our great level of service and high standard of workmanship. It may cost less than you expect, so what are you waiting for?